Great story! And great pics here! Early 1990's (I think) in paddock photos of my late brother Steve Bell (Wood & Pickett sponsored) and his then team mate Mickey Bray (also sadly no longer with us). 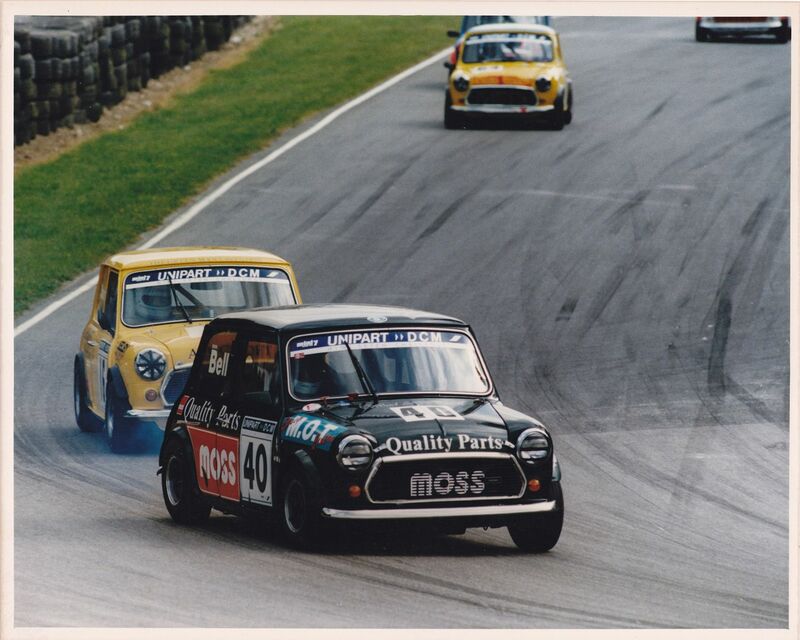 Following on from the paddock photos I have scanned some on track action photos of my brother Steve Bell's Mini Se7en (Wood & Pickett/Moss/Tyrrell - No.40) from the early 1990's. 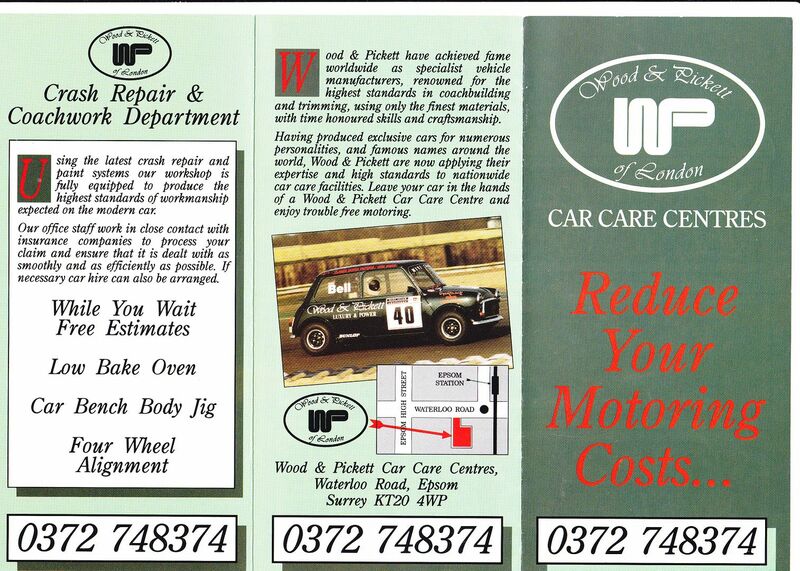 A copy of an advertising flyer from the Mike Bush /Steve Bell Wood & Pickett era in Epsom, Surrey. You know that Copse is quick, always have known it. 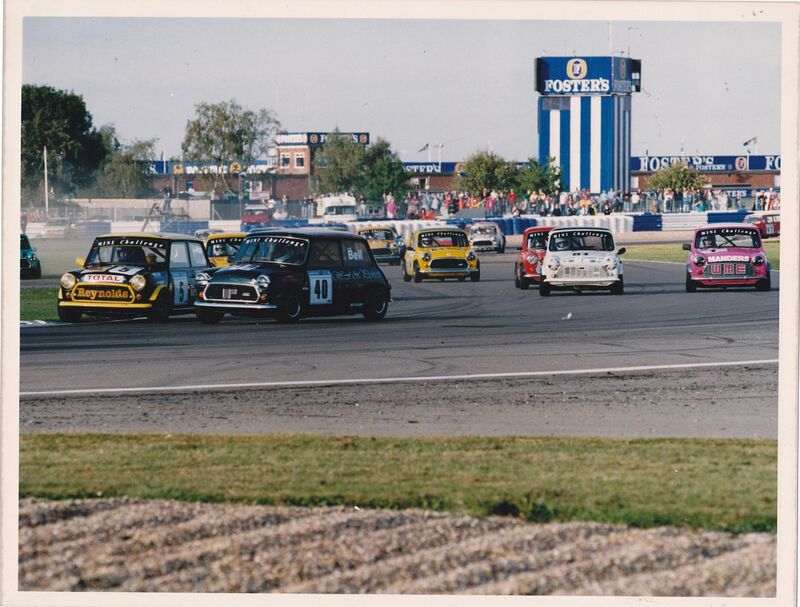 And it became more of a challenge a few years ago, when they did away with the Silverstone short circuit beloved of slipstreaming Formula Fords (remember them arriving several abreast at the old Woodcote? ), and added a few new fiddly bits suited to greater purity of racing line than the old who-can-be-last-on-the-brakes right-hander. The upshot is that the straight leading to Copse is now longer, approach speeds are higher and Silverstone's first corner has become more of a trap for the unwary. 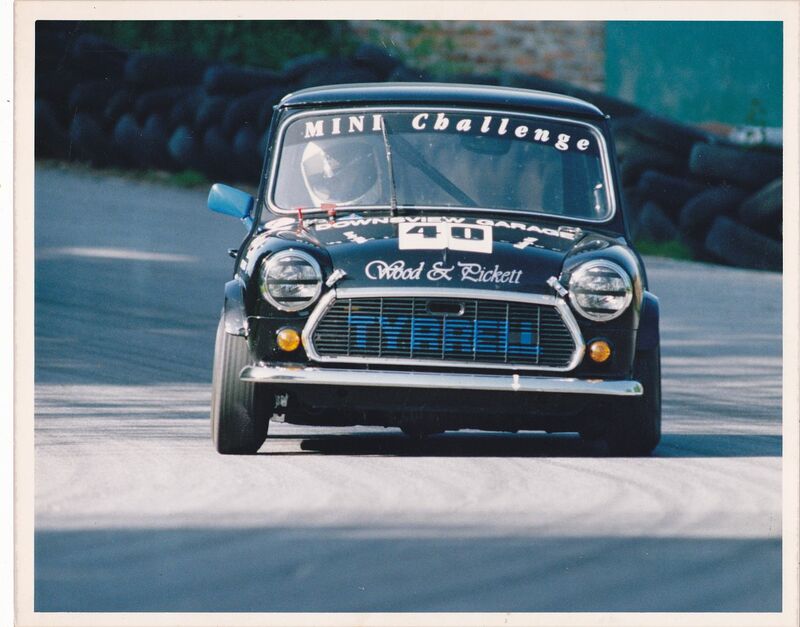 In a Mini Seven, however, the level of commitment seems not to matter greatly. There always seem to be a few inches of track left that you could have utilised. 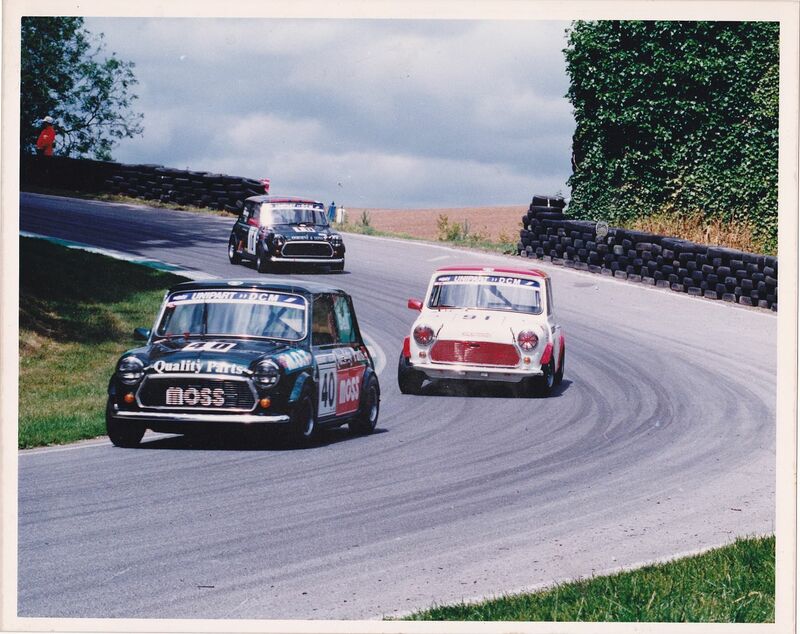 And you don't so much steer a Mini Seven into Copse. You throw it. In too fast? Simple. Ease the throttle, and the rear end begins to break away ever so gently. It feels as though you have all the time in the world to correct the ensuing slide via a steering wheel which wouldn't look out of place in a Routemaster bus. During the relative calm of a midweek test session, it's worth lifting off at Copse just for the hell of it, make sure you weren't imagining it. Can a frontwheel drive car with such a tiny wheelbase really be so responsive, so progressive, so easy to manipulate via the throttle? Time after time, you get the same answer. The car in question is Steve Bell's. Beautifully turned out in the colours of sponsor Wood & Pickett, it may be a close relation to the Mini Seven racers of the '70s in terms of technical presentation (although the previously specified 850 cc engine was junked at the end of 1990, in favour of a one-litre unit), but bodily it looks nothing like its forebears. The days of the scruffy Seven, wearing faded, battle-scarred BL paint and looking largely standard apart from the absence of wheel trims and emptiness of the ashtray have long gone. 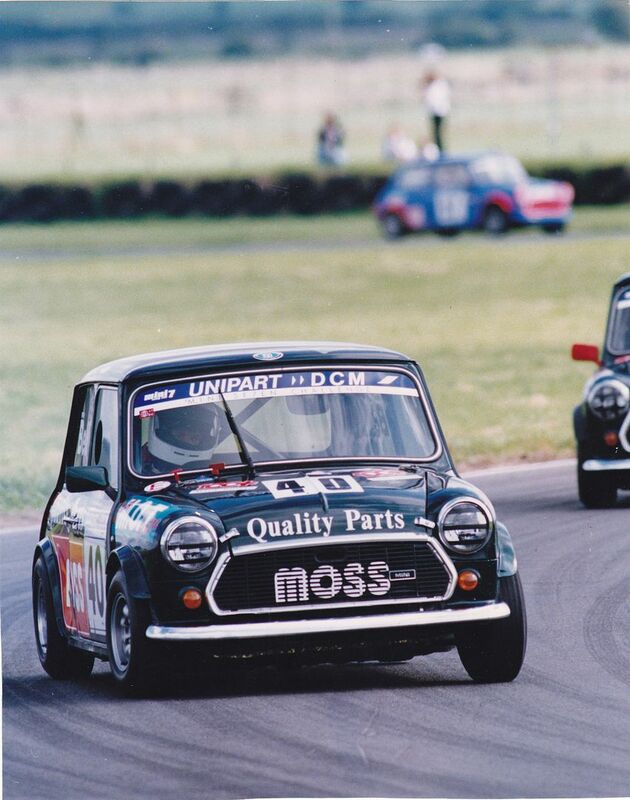 Mini Seven racing, originally the brainchild of the 750MC, which was looking to provide a cheap alternative to special saloon racing in the mid-'60s, is now into its 26th season. Nowadays, the series has official Rover support and the standard of car preparation is, generally speaking, absolutely superb. 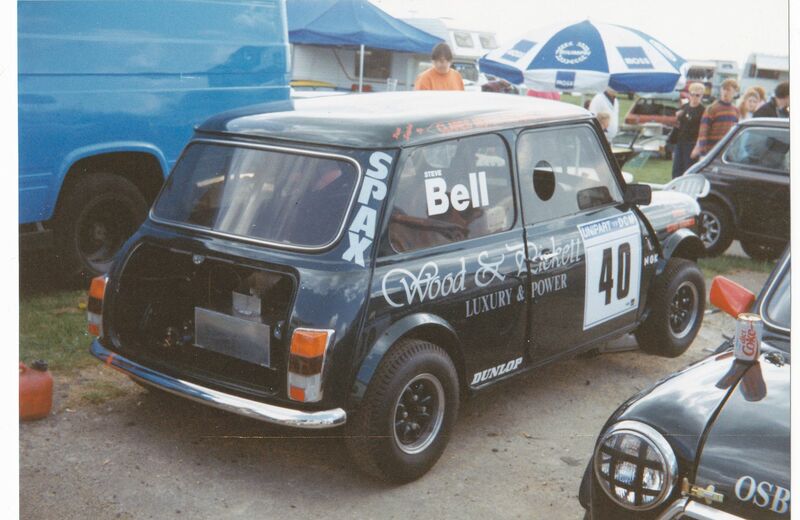 Bell's Mini, like those of most of his rivals, looks more suited to a concours than a 10-lap thrash around a muddy, wet Cadwell Park. Despite the increased commitment to immaculate presentation, the Mini Seven series and its more powerful Mini Miglia cousin - of which more anon - remain relatively cost-effective in this day and age. Rover blessing, Unipart sponsorship and administrative assistance from the BRDC (which brings support race status at BTCC and British F3 rounds) help in this respect, of course, but a competitive Seven could cost anything between £2,500-£4,500, the cost likely to vary according to individual technical ability and the quality of finish you are looking for in the end product. 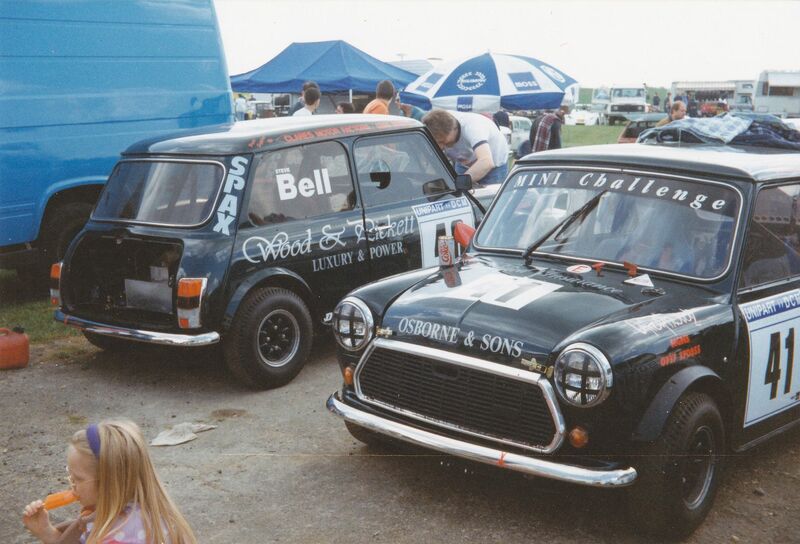 On top of that, Bell in his second season of Seven racing, although he's been around for a lot longer, usually wielding spanners for friends estimates that a 12-race season absorbs about £2,500 in running costs. Despite the car's propensity to slide around at the driver's whim, Bell got through just two full sets of Dunlop control tyres in 1991.There are only two tyre choices available - wet and dry, though the slicks are treaded - and Bell simply shifts the rubber from corner to corner during the year, according to rate of wear. "It represents value for money," believes Bell. "It's a good series, with close racing right down the field, and there's excellent camaraderie amongst the drivers." The latter aspect is not to be overlooked, either, in an age when suspicions about rivals' 'unfair' technical advantages are unhappily rife at many levels of the sport. 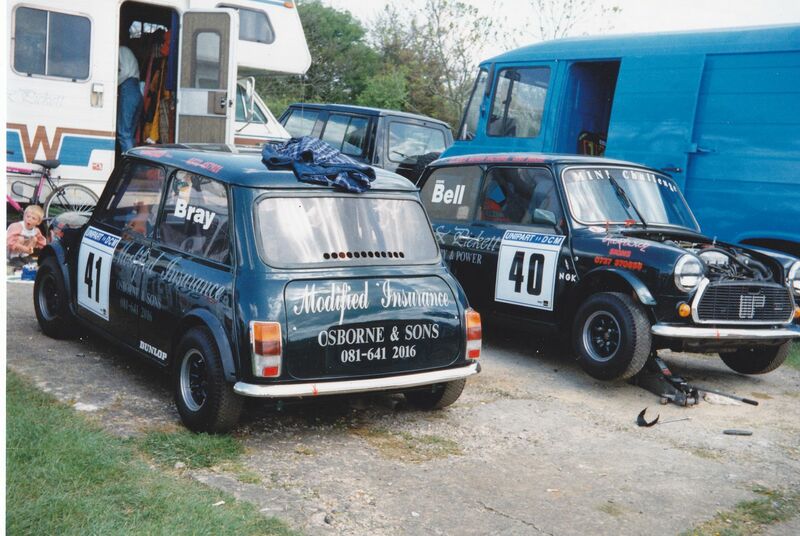 Mini racing is happily devoid of protests. The engine is almost fully race-prepared. The pistons are standard, balancing apart, and the head is pretty similar to that on a Miglia, albeit mildly strangled by the compulsory fitment of a 1.5 in restrictor plate. 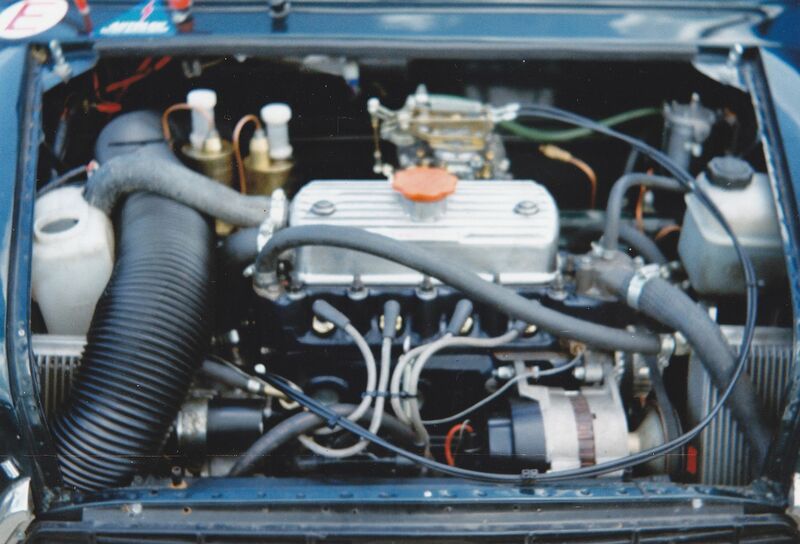 The camshaft is nicked from an MG Metro, and fuel is distributed via a single-choke carburettor, usually a 45 DCOE Weber with the jets soldered on one side. Maximum power, reckoned to lie somewhere between 70-80 bhp at the wheels, is delivered at 7400 rpm, although the engine will tolerate a few hundred revs more before the valves pogo through the bonnet. To maintain momentum, you need to keep the engine thrashing around between 6000 rpm and the aforementioned power peak. The cacophonous result makes a pneumatic drill sound like a milk float, the aural assault amplified when the characteristic Mini transmission whine chimes in on backing vocals. Unfortunately, the transmission was more than just noisy on the day of our test. It was also a shade uncooperative. Bell warned that it was baulking at the change down from third to second for reasons unknown, which turned both Becketts and the complex running from Brooklands to Luffield into hit and miss affairs. The theory is that you turn in in second, feather the throttle (plant it too early, and you'll simply exit stage left in a frenzy of understeer) and get back hard on the power once the nose is firmly on course for the apex. The reality, on this particular day, was that you sailed into both corners thinking you were in second. Neutral is neither tractive nor accelerative; eventually, caution prevailed and both corners were taken in third, which completely wiped out any sensation of what either is really like. Copse, though, was worth waiting for, and brought back happy memories of being bounced around Mallory Park in a Seven some years ago, whilst conducting a similar exercise for Motoring News. Trying to find one adjective to epitomise Seven racing is tricky. Bloody noisy, then? Accurate, but doesn't really convey what Sevens are like. The most apposite description is probably 'moreish', although 'profitable' also springs to mind if you are any good at it. The combined Seven/Miglia prize fund is £13,000, and includes a road-going Mini Cooper for the driver with the highest overall points total in either series. For the past two seasons, Bill Sollis has outscored the Miglia champion in winning the Seven series outright, and has thus become the proud owner of two Coopers, albeit briefly. The Westerham fireman has sold on his prize on each occasion, the resulting income being put towards the subsequent racing campaign. 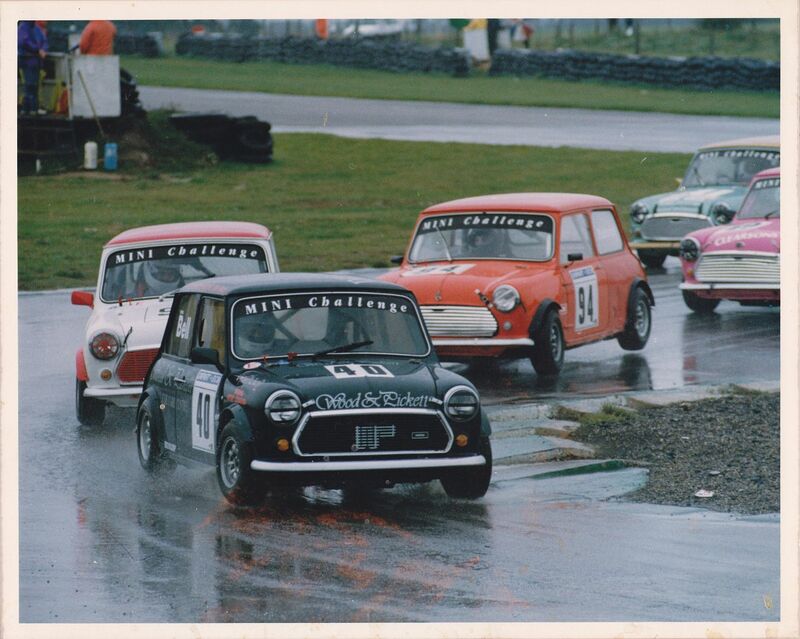 This year, Sollis has used the assets accrued from trading in his Cooper prize for a season in Mini Miglia (a slightly fresher initiative, as it's only in its 22nd season...), which is less restrictive under the bonnet, although it shares many of the Seven's chassis and bodywork regulations (silhouettes must be kept standard, although lightening of subframes and other subtleties are permissible). Consequently, the Miglia is a costlier option than a Seven. At Silverstone, we tried the front-running car of Richard Wager, which its proprietor felt still needed a little fine-tuning at this early point in the season. Wager is one of those who does much of the labour himself; by his assessment, a competitive car can be built — or bought — for around £5000, and running costs for the season are likely to be as much again. Tyres, reckons Wager, are "expensive", for what they are, but like Seven counterpart Bell he reckons he can get by on eight per season. Again, control Dunlops are mandatory, and these must have at least 1.6 mm of tread at the start of a practice session or a race. Three compounds are available, and Wager uses a pick'n'mix selection: the softest at the rear, medium front right and hardest front left. There are immediately obvious similarities between Sevens and Miglias, notably in the superb standards of presentation. Wager's car, like Bell's, was unblemished by grime. A Miglia field looks like a half-scale replica of the BTCC, thanks to commendable pride on the part of enthusiastic owner-drivers and not a little elbow grease. And there are equally apparent differences. Although the Miglia just tops 100 bhp, the four-seconds-per-lap difference around Silverstone's 'national' circuit owes as much to greater braking efficiency and superior grip as it does to grunt. With a drag co-efficient similar to that of Ben Nevis, there are limits to how quickly a Mini will go in a straight line, even with the engine zinging along close to 8000 rpm in fourth (i.e. top) on the approach to Copse. If there had to be any gearbox problems on the day, it was a shame that they struck the 'wrong' car. The Miglia has considerably greater torque, and third gear is fine for the tighter sections. As this issue of MOTOR SPORT goes to press, there are four rounds of each championship still to run, at Snetterton (August 1/2), Mallory Park (August 23), Silverstone (August 31) and, lastly, Donington Park GP circuit (September 19/20). 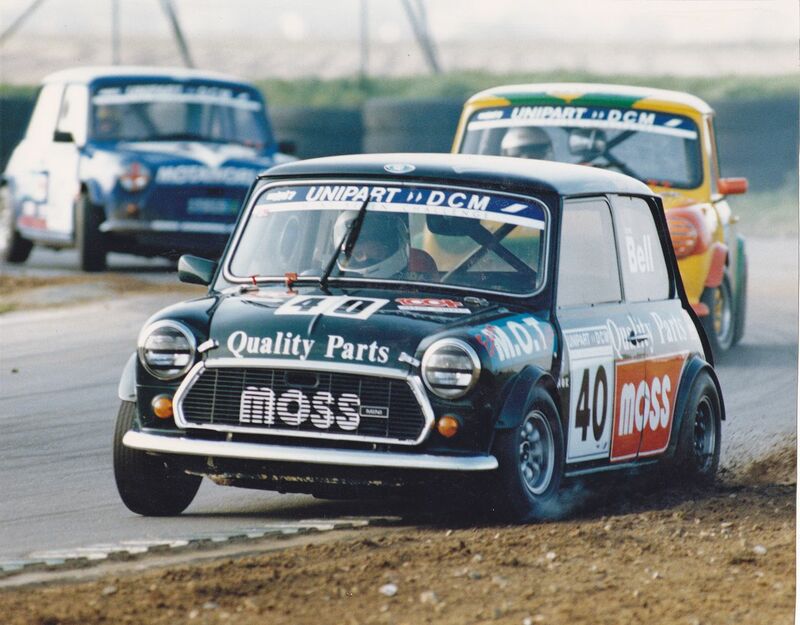 After all these years, the Mini is still a source of some of the best circuit racing in the UK. 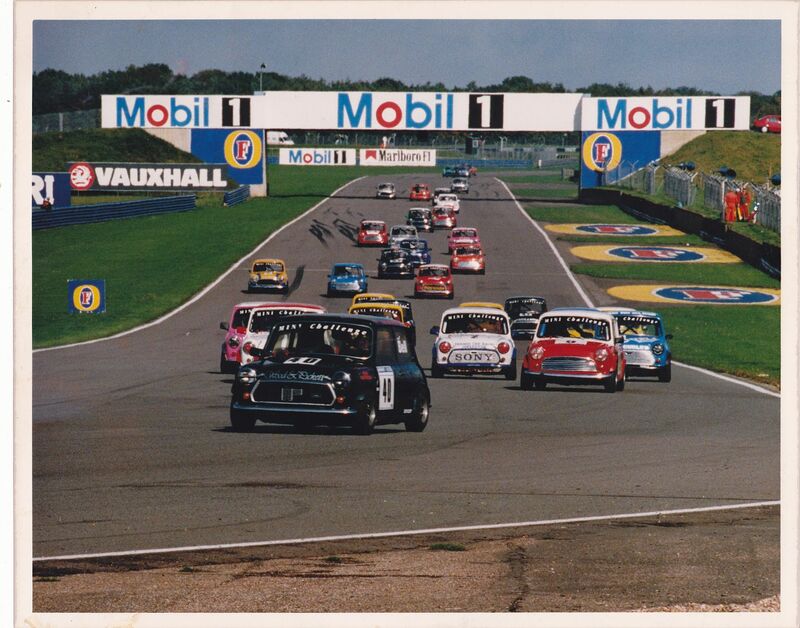 Despite the proliferation of one-make alternatives, which grow by the year, the level of support for Mini racing, Seven or Miglia, has never once declined. Its enduring popularity in these times of apparent recession isn't difficult to pinpoint. In the overall scheme of things, it is reasonably priced. It is as much fun to watch as it is to participate, and the paddock retains the happy-go-lucky flavour of the '60s, when the concept was originally launched. Edited by mab01uk, 20 March 2019 - 08:41 PM.